Xiaomi has unveiled MIUI 9, the much-anticipated new version of its MIUI custom Android ROM. MIUI 9 is based on Android 7.0 Nougat, and apart from Nougat features like split screen, it boasts of faster app launch times, a more dynamic resource allocation for a fluid experience, and other smart features and improvements. As for the question you’re probably itching to know the answer to – when will you be able to download MIUI 9? August 11, says Xiaomi, but more on that later. 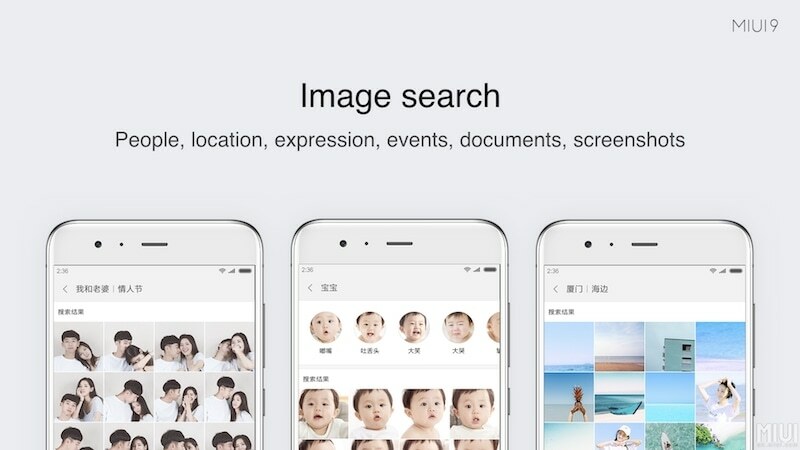 Xiaomi has chosen to highlight three main new features in the new OS version – Image search, Smart Assistant, and Smart app launcher. MIUI 9 will run out-of-the-box on the Xiaomi Mi 5X, which was launched alongside the new ROM on Wednesday. The first beta, referred to as a developer ROM in this case, will be made available on August 11. Note, that this is the China Developer ROM, and currently no information about the Global ROM rollout has been provided. The China ROM and Global ROM have a slightly different feature set. The first batch of the MIUI 9 China Developer ROM will be released for Xiaomi Mi 6, Mi 5X, and Redmi Note 4X(Qualcomm variant). The second phase of the MIUI 9 China Developer ROM rollout will begin on August 25, with builds for the Xiaomi Mi MIX, Mi Note 2, Mi 5, Mi 5s, Mi 5s Plus, Mi 5c, Mi Max 2, Mi Max, Mi 4S, Mi 4c, Mi Note Pro, and Redmi 4X. Finally, in late September, the MIUI 9 China Developer ROM will be made available to all other Xiaomi and Redmi devices, the company says, excepting the Mi 1/1S and Mi 2A. All compatible devices to get the MIUI 9 update eventually are listed here. MIUI 9, which packs a bunch of new features and improvements including faster app load times, new design elements, shortcuts on lock screen, split screen feature, smart functionality and more. Xiaomi says that the MIUI 9 optimises the system to boost performance and load apps faster than before. Another highlight is the new Image feature search that has the ability to distinguish your images by typing in keywords. The Smart Assistant feature will let you search for pretty much anything on your phone and swiping to right on the home screen will bring up the search along with app suggestions, news and other customisable widgets, similar to Apple’s Spotlight feature for iOS. Notably, a new Smart app launcher will suggest apps to launch based on the content on the screen. Xiaomi says that some of the features mentioned here will only be available in China and that the Global ROM might be a little different.